6 Responses to Paul Ryan: naive, inexperienced? 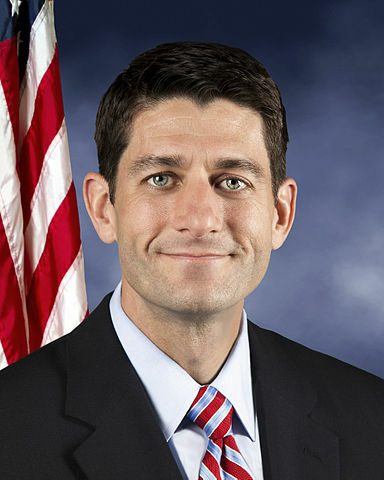 The Left will have a hard time portraying Paul Ryan as inexperienced in national government, or stupid, or a child of privilege. But they will try. It as an excellent choice by Romney. Now we can have a real debate about the future of this country. Oh, really? Then why does Ryan and the Tea Party zealots want to privatize S.S. or voucherize Medicare? Good luck with your choice for the Ryan/Romney ticket (Romney will be a puppet for the extremists.) One thing you should probably know that receiving “Medicare vouchers” will not work. Do you know why? Because those vouchers will not keep up with medical costs INFLATION, and you will have to pay the difference out of your own pocket. That’s for starters! Remember, “Life can turn on a dime.” So you best be healthy, financially solvent, not be the beneficiary of S.S., Medicare or Medicaid, not be the recipient of that dreaded “pink slip,” not receive a catastrophic medical diagnoses, be a victim of a natural disaster or a crime. You want your tiny little govt.? Guess what? You’ll be left to your own devices to haul yourself back out of personal debt. Think FEMA/Katrina? The EPA! I want my food & water to safe. Thanks for sharing your concerns. I hope you’ll tune into the GOP Tampa convention and the presidential debates to get a better picture of the Romney-Ryan ticket, which is anything but extreme. Under one version of a white paper, Ryan proposed vouchers as an *option* for those 55 and under. I don’t know if something like that will be ultimately enacted, but it will make a lot of sense after Romney repeals and replaces Obamacare with a market based solution that forces insurance companies to compete with each other to drive down overhead costs. As it is, prices have only gone up since ACA passed in March 2010. Romney and Ryan actually have solutions other than blaming Bush or peddling more spending. We’ve tried that. It didn’t work. You’ve mentioned the 98%, but it’s better to be a part of the 100%. Democrats survive by promising to shower their supporters with other people’s money, but the most elementary economics tells us that this shrinks economic growth, and therefore opportunity for everyone. Government has some important roles to play, but history clearly shows it’s not good at solving everything. It crowds out charity and personal responsibility, indispensable things our culture has been sorely lacking for the past five decades. I’m glad to see your civic engagement. The more liberals talk and actually listen to conservatives, the sooner things will get better. Thanks for the info on Ryan. I hadn’t heard any of these facts about his early life. It’s amazing all the things I learn just from the encyclopedic mind of Michael Medved. And wikipedia helps too. Your criticisms of other articles are excellent. I’ve missed your blog – been busy. But thanks!